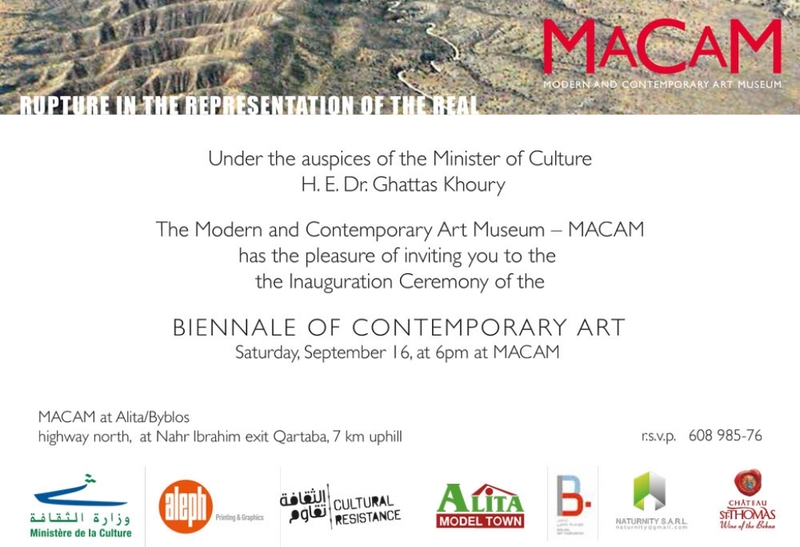 I am very happy to share the news that my short documentary film 'NEXT SUNDAY' is taking part in the 1st Lebanese International Biennale of Cinema and the Arts, BLICA, in Macam museum in Lebanon!!! 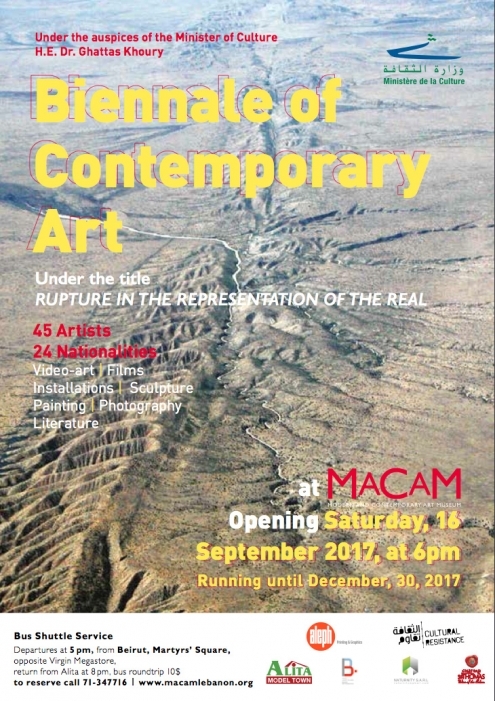 Biennale of Contemporary Art is organised around an Exhibition of the international Oscar Niemeyer Competition on the theme of 'Rupture in the Representation of the Real'. 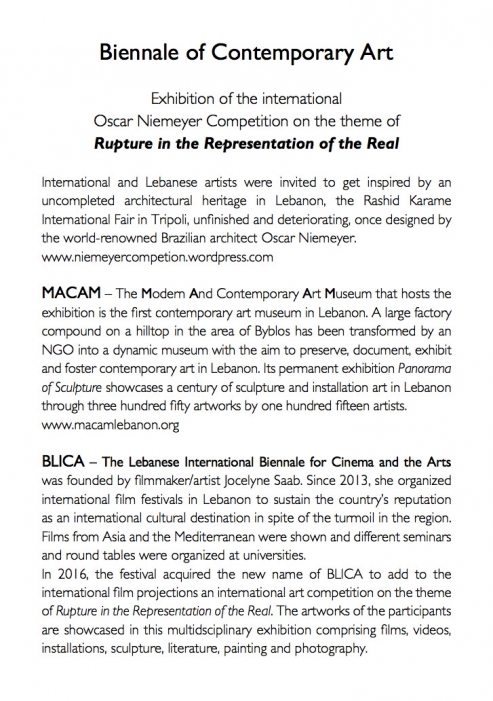 International and Lebanese artists were invited to get inspired by an uncompleted architectural heritage in Lebanon, the Rashid Karame International Fair in Tripoli, unfinished and deteriorating, once designed by the world-renowned Brazilian architect Oscar Niemeyer. The Biennale opens on Saturday, September 16th, 2017 and will last until December 30th, 2017.